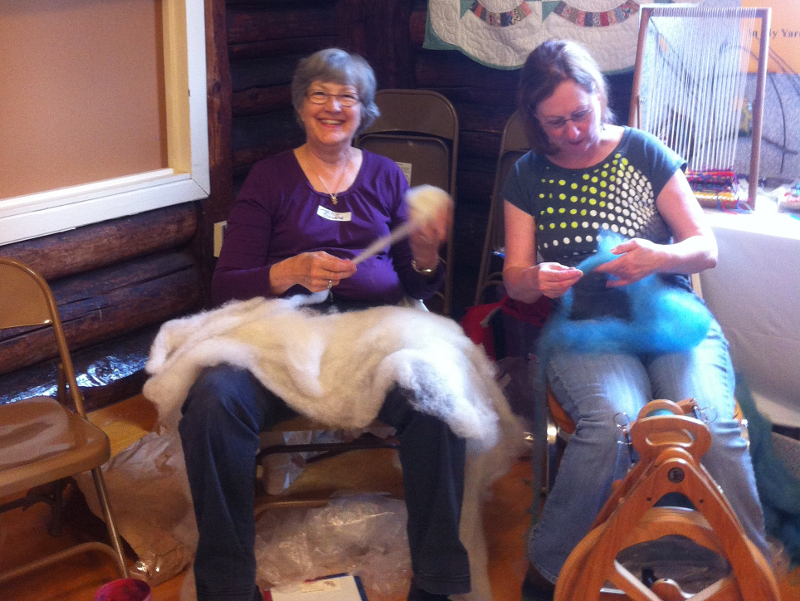 A milestone year for Olympia Weavers Guild’s participation at the Thurston County Fair: It is the 20th year we have presented a Hands On experience for the community. 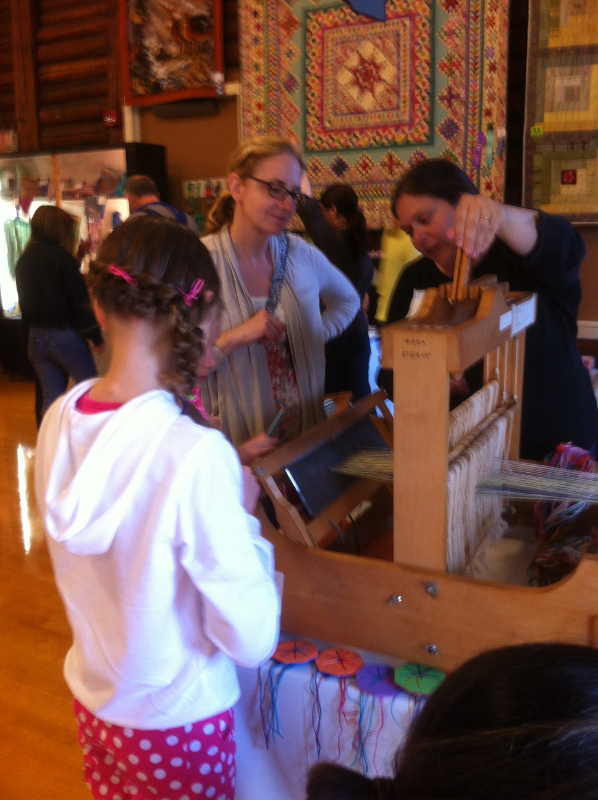 We have a weavers’ count of 203 at the 4 harness loom and surely another 40+ at the little 2 harness and tapestry looms. Once a kid started, they wanted to do more! And that’s not all! 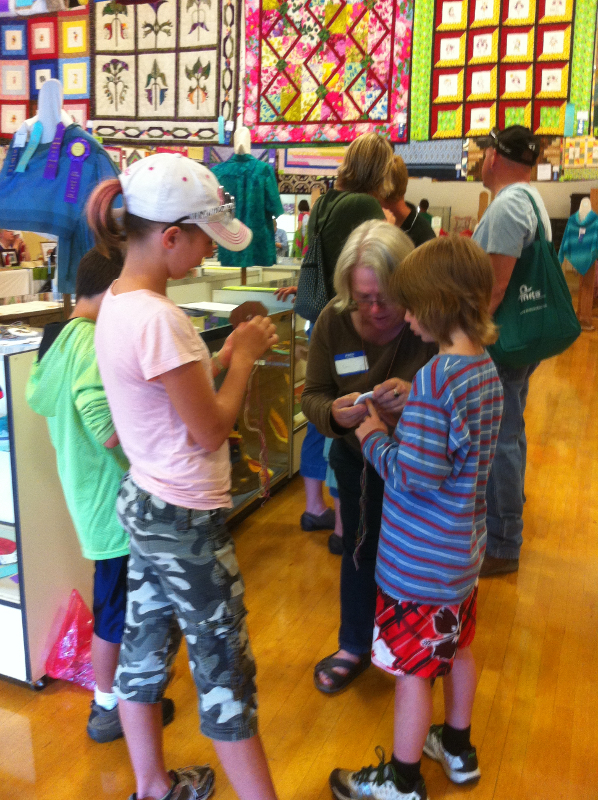 There was basketry(Carol Williams), lavender wand weaving(Suzanne Victoria), inkle(a few hands here) and kumihimo. 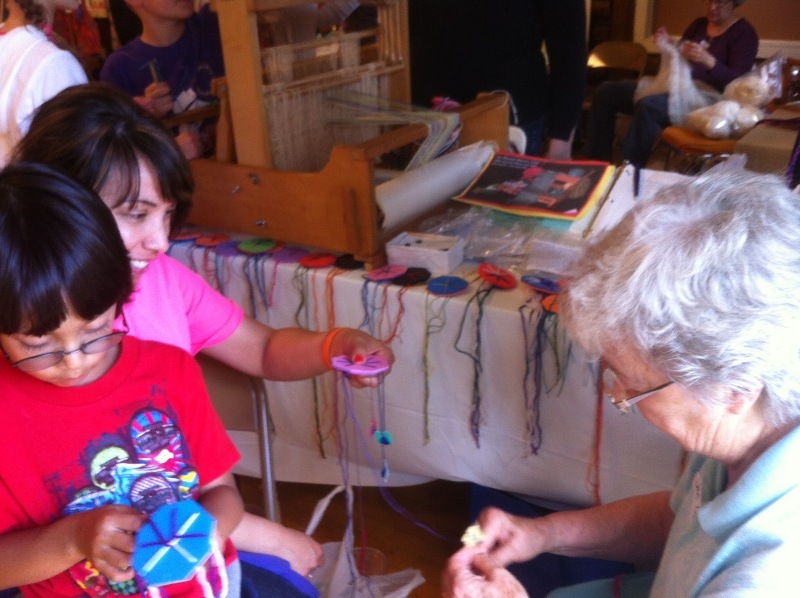 As the photos will record, our braiding team of Gail Trotter and Jan Green kept so many people of all ages concentrating on the pattern of the 7 strand braid and stayed for more. It was all fun. Besides the volunteers listed above, I need to add thanks to Eleanor Hintz, Edith Garling, Roxanne Robertson, Judy and Larye Parkins, Pam Odam, Debra Bond-Yancey, Vickie Booth and most emphatically, Sarah Nopp, who, with me, was there daily…a groupie for pleasure. 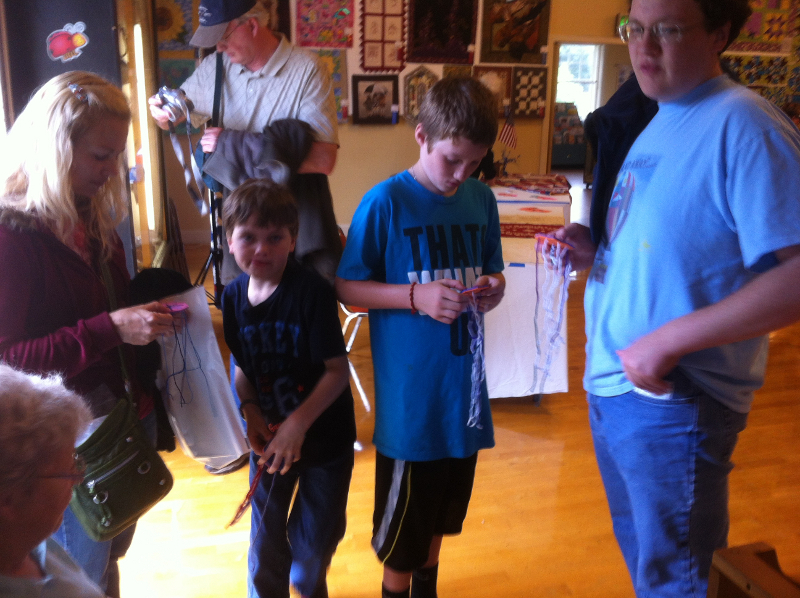 I estimate 236 volunteer hours were contributed – and that is if everyone left on time, which just does not happen. Mention needs to be made of all the ribbons members brought home with them. I am afraid to list them as I know I will miss something. But I do have to draw attention to Terry Schurke’s Grand Champion piece – her tencel huck lace shawl. What a way to go, Terry. You show OWG in pride. World-renowned environmental artist Patrick Dougherty will weave an amazing two-story stick sculpture for our new Outdoor Discovery Center. From August 1-16, he will bend nature into art to create a giant, walk-through structure. For more info about his work, which includes sculptures in California, Hawaii, Australia, and France, visit www.stickwork.net.